The last 4 trips were kind of a feast and famine thing. I ran a trip the friday before christmas with John and Heath. We hit five different floaters for tuna and five different rigs for wahoo and got neither a fish or a hit. One of my most least productive days of the year. I had the Corvin crew on the day after christmas and we made up for it was a solid wahoo day. 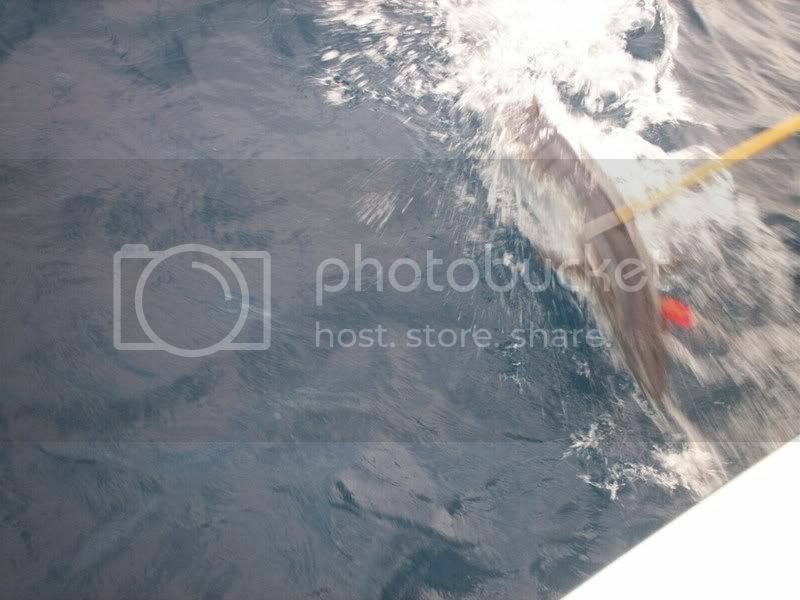 First pass around the rig was a nice hooter and we continued to pick away at them throughout the morning. The most productive bait was a pink stretch 30 and a braid marauder was number two in productivity. 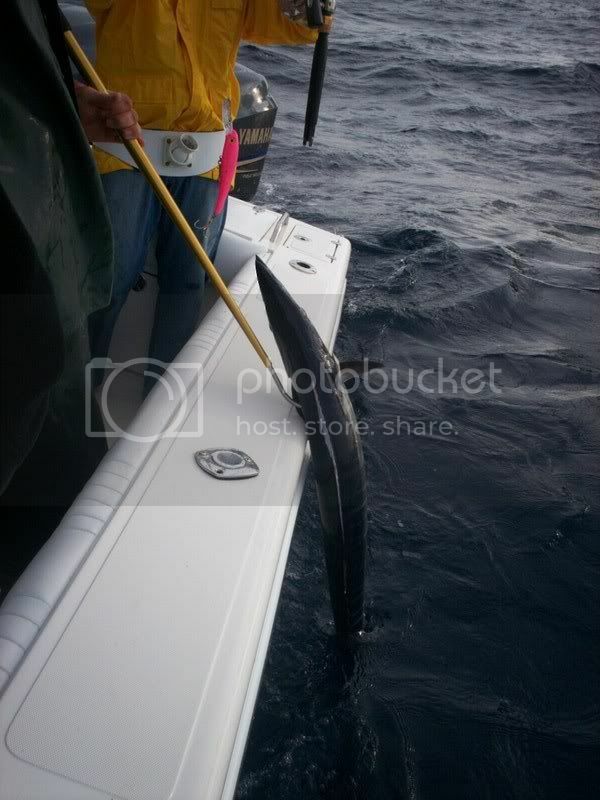 We made a pass by the lump and anchored up and tried chunking with nothing but bonito to show for it. 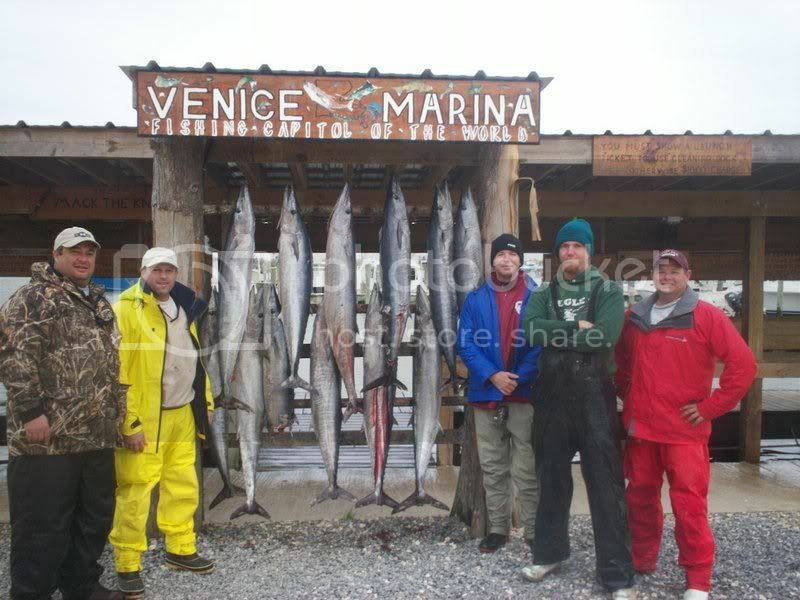 We ended up the day with six wahoo to 62 pounds. On thursday I had the en fuego crew from houston on board. They were up for a little hooters action so we headed out to some rigs. 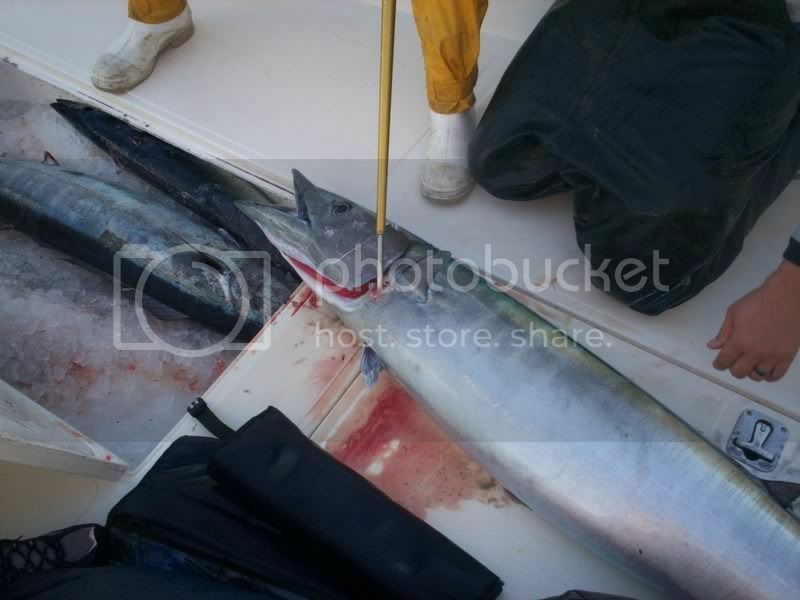 I think the first bait was in the water for about 10 seconds before we had a wahoo on. 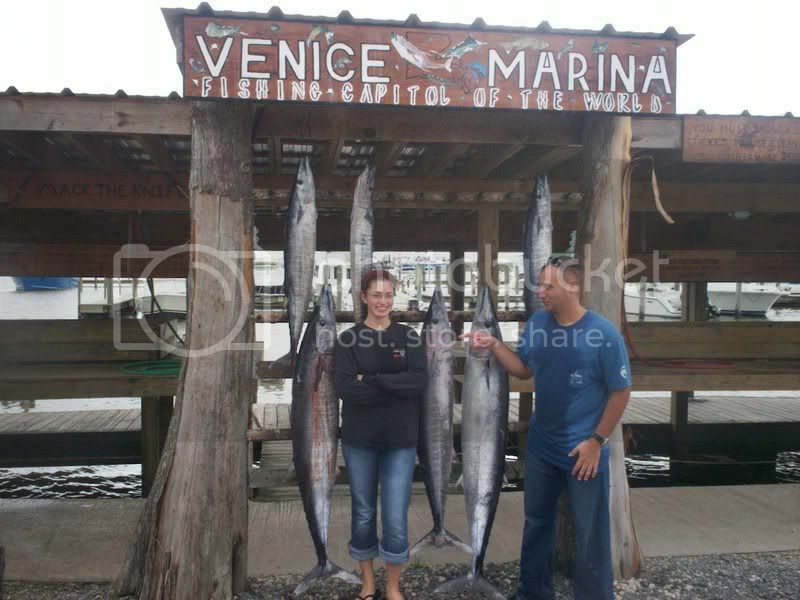 It continued like that all morning long until they decided they had enough wahoo We had 11 in the boat before noon. All between 40-50 pounds. Most came on the pink stretch 30 but the yozuri bonito was also productive. After that bite we headed over to the lump to find everyone busy with sharks we made a pass around another rig and added a wahoo to make it an even dozen before we headed to the house. 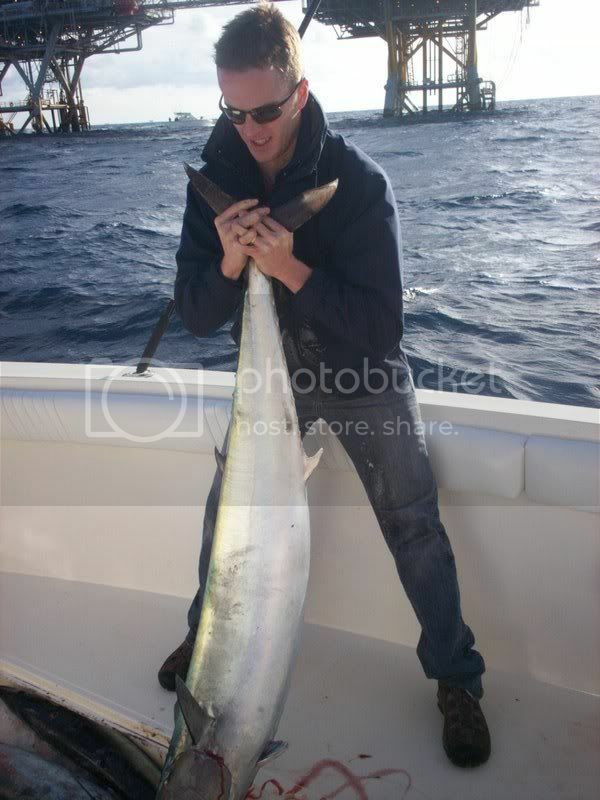 I went out on saturday and despite my best efforts we went 0-1 on wahoo bites and caught one bonito.